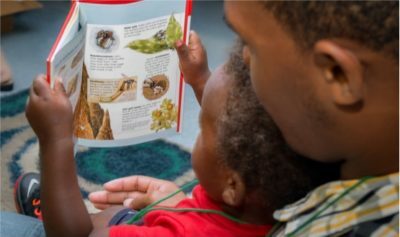 Reach Out and Read® gives young children a foundation for success by incorporating books and reading into their pediatric care and encouraging families to read aloud together. Reach Out and Read® doctors and nurse practitioners have the greatest access to families with children in the early years when it counts — more than 91 percent of children under the age of six attend routine pediatric visits at least once a year. 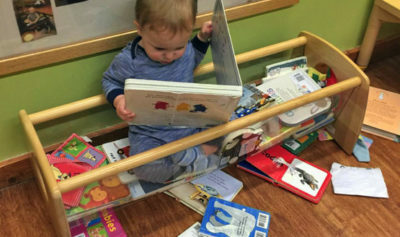 give a new book to the child to take home and keep. At the end of the program every child has a home library of books, each given with the advice to parents that they are their child’s first and most important teacher. 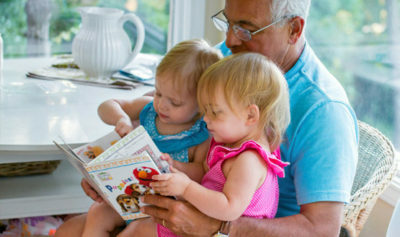 Due to the generosity of the Manatee Community Foundation, Community Foundation of Sarasota County, and The Patterson Foundation, physicians in Manatee and Sarasota have joined this national network of more than 26 regional affiliates supporting over 29,000 medical providers at 5,800 sites in all 50 states of the U.S.
are read to more often by their parents. have a greater love of reading. Interested in seeing what a Reach Out and Read® provider visit might look like? Visit the Reach Out and Read® YouTube channel or visit their website.